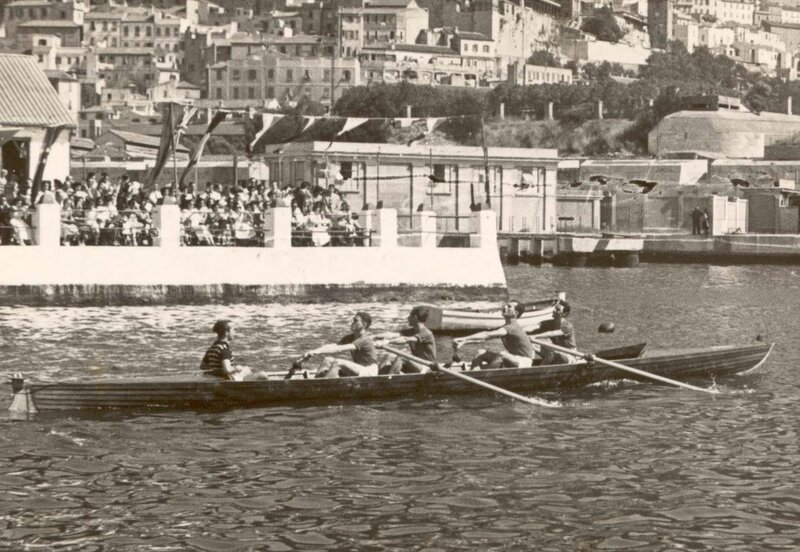 1949 Unlike the Calpe, the Mediterranean Rowing Club had been closed down for the duration of the war as the area was considered to be of military importance. It was now cleared of fortifications and reopened. 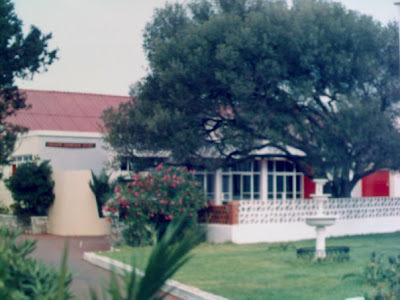 Eric, who had joined the Calpe soon after the family returned, helped to carry back their boats which had been stored in the Calpe boathouse. 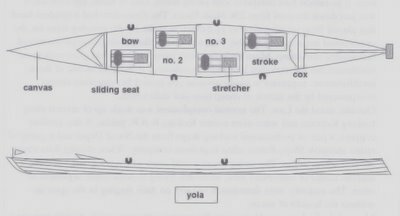 That year Eric won the Forrestier-Walker, the first of several fine wins over the years in inter-club and international regattas. The Calpe Rowing Club. A great photo of my brother Eric collecting one of his many rowing trophies. 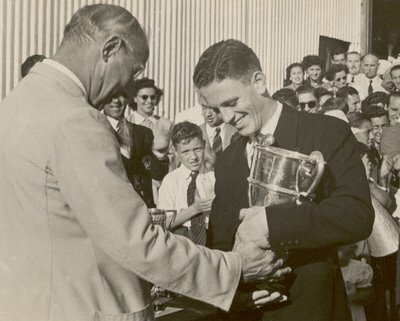 I am not sure what particular regatta he had just won but I imagine that he had done so as stroke as he is collecting the main trophy. Eric showing his rowing prowess. Calpe lead the Med crew by more than a length with Eric rowing bow. 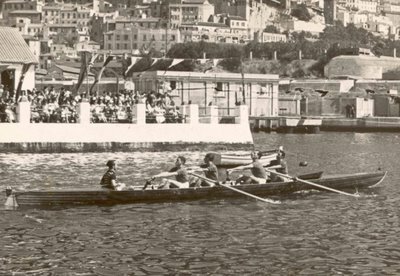 The event was the Festival Cup Regatta which Calpe went on to win. Eric receives his miniature after winning the Merchant’s Cup Regatta. Note my brother's snazzy blazer with club badge! The finish of a Club Fours regatta in front of a large Calpe Rowing Club crowd. Eric is the stroke. This photo somehow captures the atmosphere and excitement of such days very much as I remember them. 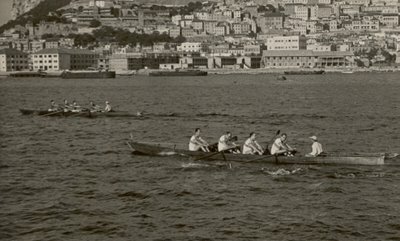 Later that summer the Calpe were invited by the Real Club Mediterraneo in Málaga to present two crews to compete at their annual regattas. Eric went with the first crew with a very good chance of winning. 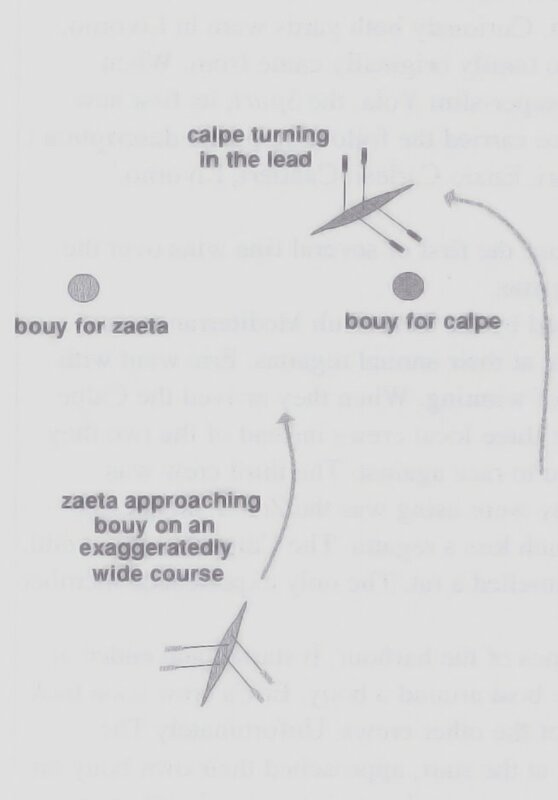 When they arrived the Calpe discovered that they would have to face three local crews instead of the two they had been led to believe they would have to race against. 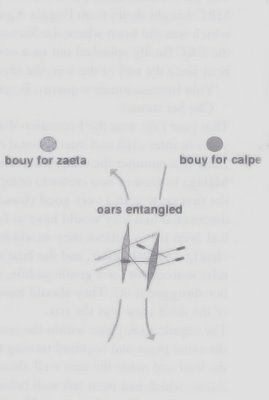 The third crew was clearly a scratch affair, and the boat they were using was the Zaeta, an ancient relic scarcely fit for a gentle paddle, much less a regatta. The Calpe thought it odd, but shrugged it off. They should have smelled a rat. 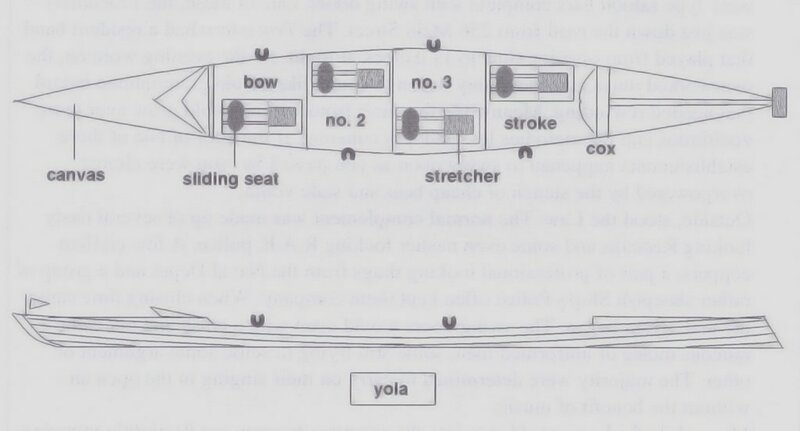 The only experienced member of the third crew was the cox. 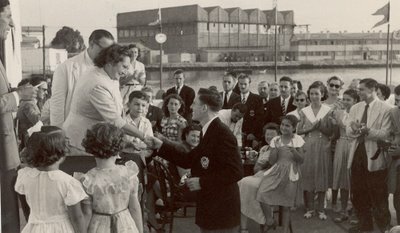 The regatta took place within the confines of the harbour. It started and ended at the same place and required turning the boat around a buoy. Eric's crew soon took the lead and made the turn well ahead of the other crews. 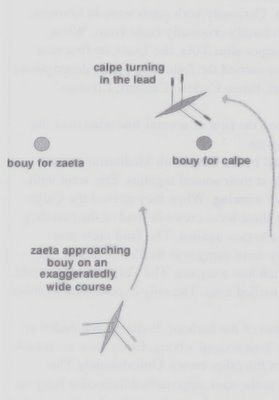 Unfortunately the Zaeta, which had been left well behind at the start, approached their own buoys on an exaggeratedly wide course. The Calpe crew took evasive action but there was no avoiding the Spaniards. 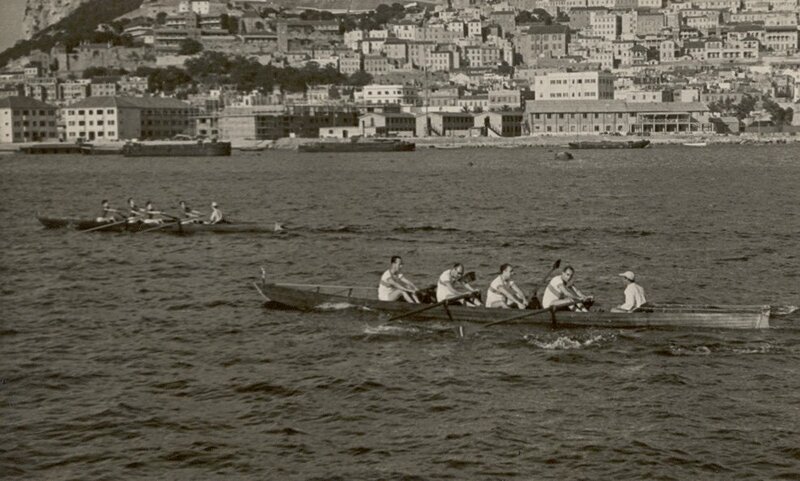 By the time the two boats had disentangled their oars, the second Calpe crew took the lead and eventually won the race. Evidently the Malagüeños had underestimated them. Eric's crew were furious but refrained from lodging a formal protest. After all it was supposed to have been a friendly race and in any case the night life of Málaga would soon more than make up for their frustration.